All the newly described species belong to the genus Nyctibatrachus, commonly known as night frogs. Apart from being tiny, these frogs live a secretive life under forest leaf litter or marsh vegetation and they sound like insects, making it difficult for researchers to locate them. But these species seem to be common and abundant in the locations they were found, researchers say. Despite being commonly encountered, all seven species might be threatened by habitat loss. 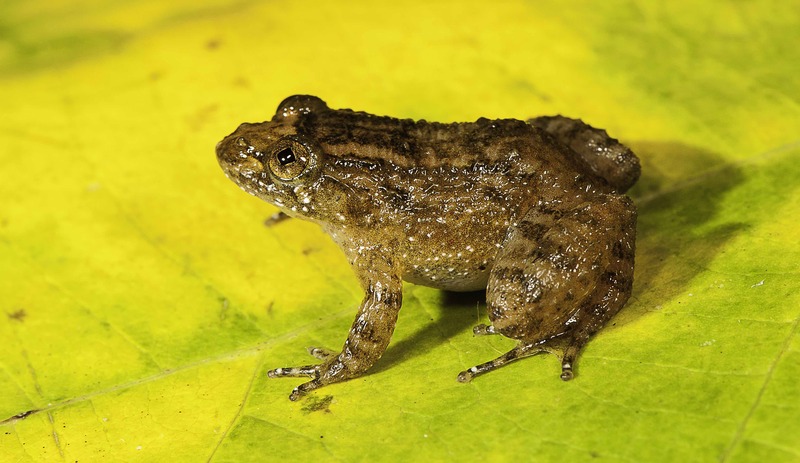 Indian scientists have discovered seven new species of frogs in the Western Ghats, a biodiversity-rich mountain range in India. Four of these frogs are only 12 to 16 millimeters in length, making them smaller than a thumbnail. In fact, these miniature-sized amphibians are among the smallest frogs in the world, researchers report in a new study published in PeerJ. The world’s smallest frog is believed to be the 7.7-millimeter long Paedophryne amauensis, found in Papua New Guinea. Finding the night frogs was not an easy task. Apart from being tiny, these frogs live a secretive life under forest leaf litter or marsh vegetation and they sound like insects, making it difficult for researchers to locate them. These frogs may have remained undiscovered for a long time, but these species seem to be common and abundant in the locations they were found, researchers say. 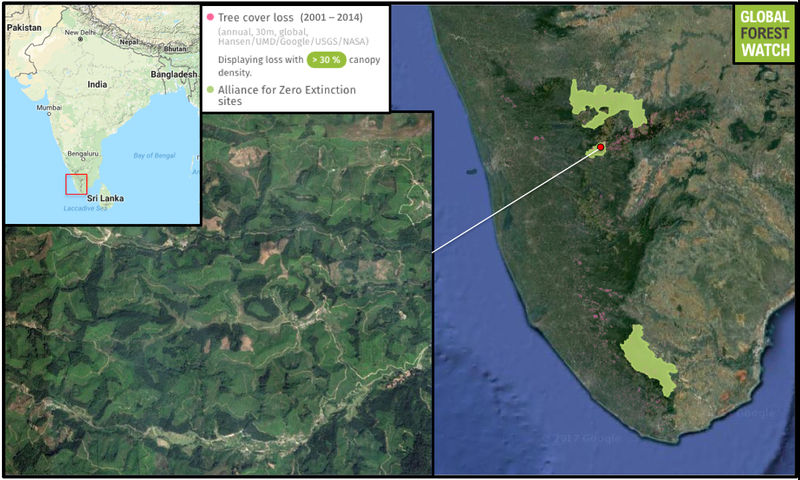 Data from the University of Maryland visualized on Global Forest Watch show the southern Western Ghats, where the new frogs were found, lost around 1.5 percent of its tree cover between 2001 and 2014. 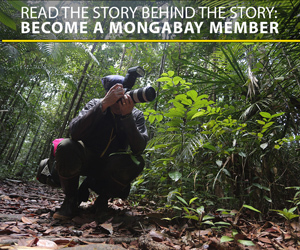 The region is home to many previously known endemic amphibian species that are found nowhere else in the world. The NGO Alliance for Zero Extinction shows the ranges of four that are endangered. Athirappilly Night Frog (Nyctibatrachus athirappillyensis) was discovered from areas adjoining the Athirappilly waterfall, site for a proposed hydroelectric project. Photo credit: SD Biju. 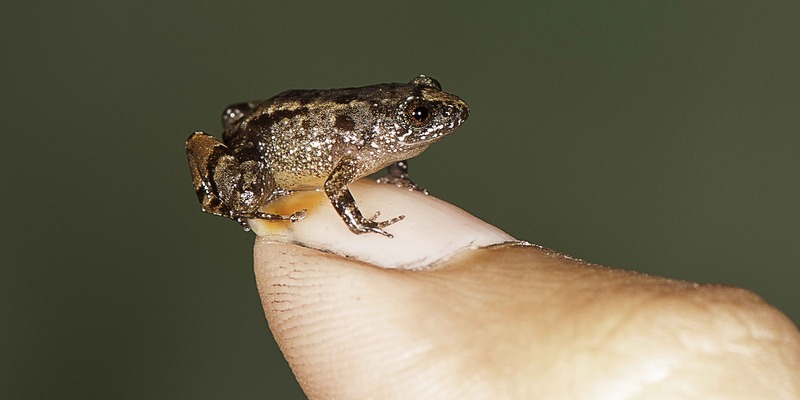 Vijayan’s Night Frog (Nyctibatrachus pulivijayani), a 13.6 mm miniature-sized frog from Agasthyamala hills in the Western Ghats, sitting comfortably on a thumbnail. Photo credit: SD Biju.